IT'S the blatant rip-off nobody seems to notice. Every day, businesses are using your data to rack up colossal profits without fairly compensating you. But if a push by Prime Minister Scott Morrison succeeds, that will soon change. "For too long, large companies have been able to hoover up data and profit off it, without paying a royalty to the people they got it off. It's like pulling iron ore out of the ground," Mr Morrison said in an interview with news.com.au. "They're doing it and not paying a royalty to the people that actually own it. "In the digital economy, your data has value, and you should be able to get the benefits of your data, should you wish to use it in that way." Data is an exceedingly tough topic to delve into, not least because the first mention of it causes many eyes - my own included - to instinctively glaze over. Most of us are vaguely aware it's a big deal, but as it doesn't seem to have any obvious, immediate effect on us, we are content to let the issue simmer away in the background. Whenever we do talk about data, it tends to be because we're worried about our privacy or security. Meanwhile, we are ignoring one of the biggest economic dilemmas of our time. Practically every waking moment of your life feeds the data machine. Your smartphone tracks your movements. Google remembers everything you search for. Facebook knows what you like, who your friends are and what you share with them. It isn't limited to the tech companies, either. Each time you shop online, someone is collecting your information. Your bank knows exactly how much money you have, and what you spend it on. Supermarkets track your purchases through their loyalty cards. Energy providers record your power consumption. These companies are constantly building a clearer picture of who you are and what you're interested in. They can then use that data in all kinds of interesting and profitable ways, the most lucrative of which is targeted, personally tailored advertising. Last year, for instance, $US95 billion ($A130 billion) of Google's $US110 billion ($A150 billion) in revenue came from advertising, facilitated by its immense collection of data. The numbers were even more staggering for Facebook, which relied on ads for 98 per cent of its income. Google and Facebook are both ostensibly free, but the truth is, you are paying them in data instead of dollars. In the process, you're making these private businesses richer than many countries. 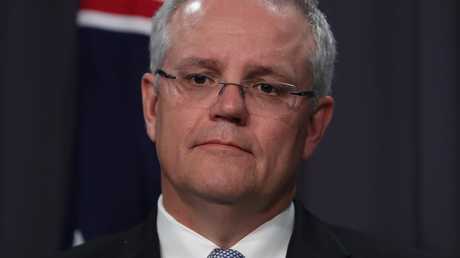 When he spoke to news.com.au, Mr Morrison compared the data industry to mining. A better analogy might be oil - the invaluable commodity which made a small group of people insanely wealthy in the early 20th century before governments were forced to step in. Mark Zuckerberg and Jeff Bezos are the oil barons of the 21st century. But there is a key difference - oil was always a finite resource. Data is not. As the world's population rises and an ever greater part of our lives shifts online, the potential for profit grows exponentially larger. Why does everyone use Google? Because it's the best search engine by far. And why is it the best? Because it has more data than its competitors. It's a simple cycle. Google collects data from its customers. It uses that data to improve its services. The better services attract more users, who give Google even more data, which it uses to improve itself further, and so on. The result is that big companies have become unassailably entrenched at the top of the economy. How can a small start-up realistically compete with Facebook, which has access to so much more information about its customers? However, we all undeniably benefit from the arrangement. Mass data collection has made our lives far more convenient, and coupled with artificial intelligence, it could soon lead to more amazing advances in technology - self-driving cars spring to mind. "I think it revolutionises how people can receive services, be empowered as customers, get access to things they could never get access to before," Mr Morrison said. "All of that is fantastic and we want to embrace it all, but it doesn't get to exist in some sort of government free zone when it comes to protecting people's liberty and citizens' rights." So what's the problem? The Prime Minister believes companies have profited without sufficiently compensating the people whose data they are using. He is far from alone. Facebook co-founder Chris Hughes wrote a notable piece in The Guardian this year, arguing: "Companies that benefit from the data we so voluntarily provide should be required to share that wealth with the people who made it possible." Governments around the world are currently searching for ways to enforce that idea, and Australia is at the forefront. 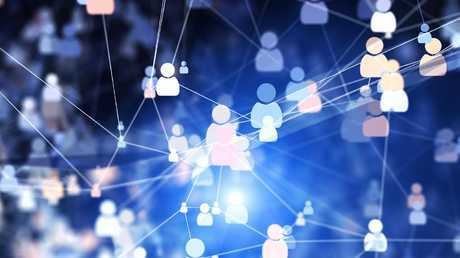 The Australian Competition and Consumer Commission (ACCC) is currently developing a regulatory framework for something called the Consumer Data Right, which would allow you to take charge of your own data and actively decide which service providers you wanted to share it with. "The Consumer Data Right is essentially a data portability right," ACCC chairman Rod Sims told a conference in July. It will be trialled in the banking and financial services sector first, starting in July next year. Mr Morrison then wants it extended to the energy industry. "Once you've got it right, you can apply it right across the board," he said. How would it work in practice? Say you were a Westpac customer, but wanted to switch. You could instruct Westpac to transfer your data to a different bank. Alternatively, you could give your data to a third party, like a comparison website, which could use it to tell you which bank would give you the best deal. The Government hopes this will foster more competition in the affected industries, driving down prices for customers. A more generous version of the system, favoured by the Prime Minister, could even see companies paying you to use your data. "A Consumer Data Right is what is missing in our law. And what that means is you own your data and you own its value and if people want to use it, they've got to pay you for it," Mr Morrison said. How much money would you earn? 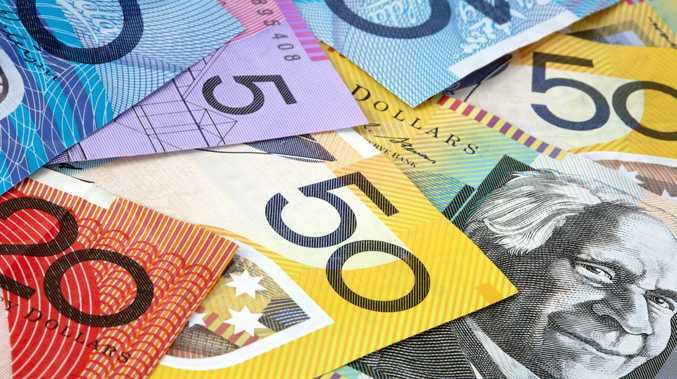 That is impossible to say with any certainty - there is no official value placed on one person's data at the moment - but some experts have predicted you could end up with a yearly payment of a few hundred dollars. It seems this revolutionary new system is coming whether the companies like it or not. "I've sat in the offices of Amazon in Seattle. I've sat in Google's offices in Silicon Valley," Mr Morrison said. "The point I've made globally to these companies - I've said to them, you guys are creating this new economy. You need to work with governments all around the world to ensure that the rules used to govern the old economy can equally provide the same protections and guarantees in the new. "You need to help us do this, because I guarantee if you don't, governments will do it anyway and they will do it in a fairly clumsy fashion. And then you'll be complaining about that. So you guys need to get on board and work with us here."